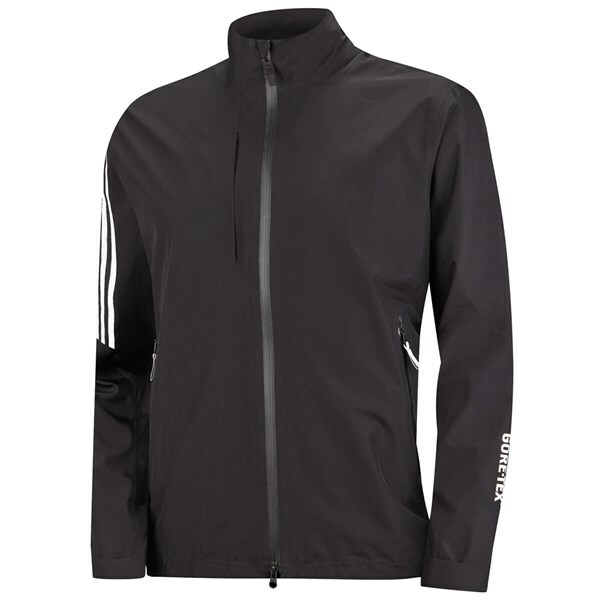 The adidas Gore-Tex Two Layer Chest Pocket jacket is a super thin, lightweight over top that will completely protect you from the rain, wind and cold while out either on or off the golf course. 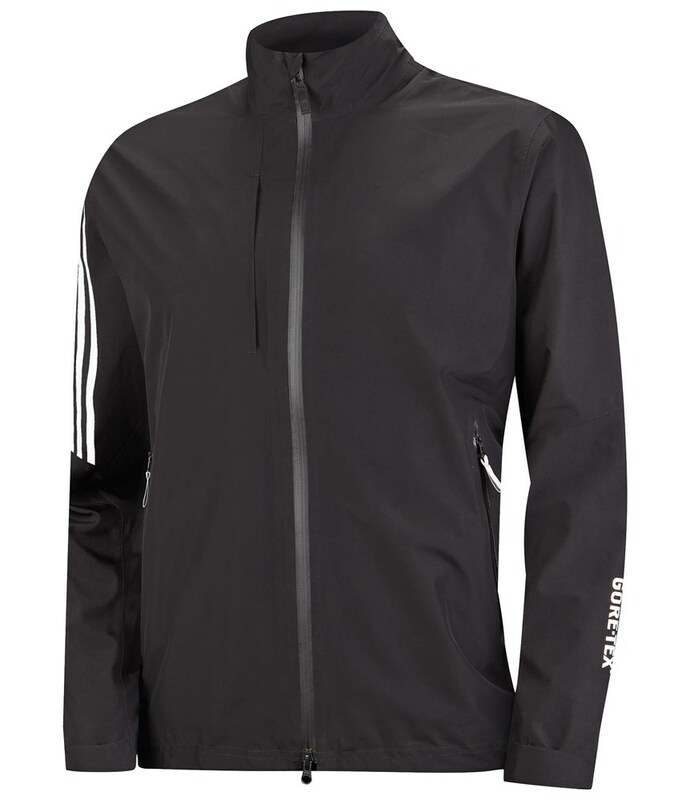 By using Gore-Tex, adidas have been able to create a jacket that is going to be totally waterproof and breathable so that you can wear it in all weather conditions without overheating or feeling uncomfortable. To get the most perfect fit, adidas used a stretch fabric that will allow you to swing without restriction as well as Velcro adjustable cuffs that also feature internal elastic cuffs. An adjustable waist elastic has also been used to further enhance comfort and custom the fit. For convenience the adidas Gore-Tex Two Layer Chest Pocket jacket features two front contrast zipper pockets and a chest pocket.